Unfortunately, enjoying clean, fresh water from the tap is not a luxury many West Texans will experience. In fact, tap water quality in the U.S. will most likely continue to decline in the coming years. Water contamination can occur at almost any point in the delivery channel, including the entrance of bacteria into the system from water main breaks, lead leaching from corroded pipe solder, or gardening chemicals back-siphoned from a careless neighbor. What is the best way to protect your family from this dangerous contamination? The process of reverse osmosis (also known as R.O.) is a type of water purification technology that uses a semipermeable membrane (filter) that separates larger particles from drinking water. It is the best way to protect your household from contaminated drinking water and to supply them with a convenient supply of fresh water! When it comes to reverse osmosis, you do have options. You can choose to filter your entire home with a whole-home reverse osmosis, or a point of use system may be best for you. You also have the option to purchase or lease systems from The Bosworth Company. Of course, we are happy to discuss your options and help you determine the best solution for your specific needs. 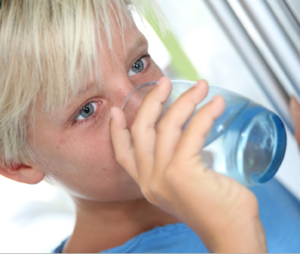 LEARN MORE ABOUT OUR REVERSE OSMOSIS SYSTEMS! AVAILABLE TO BUY OR LEASE! In addition to having a team of licensed water treatment specialist, The Bosworth Company is also a Member of the Water Quality Association. This means we have exclusive access to a vast body of industry information, high-quality training programs, the latest tools and tactics, exposure to leading-edge thinking, and opportunities to interact and network with peers around the globe. Salt delivery service for water softener is also available. Give us a call at (432) 570-5233 or request service online for a FREE evaluation or estimate!